The Jetta has been a driver favorite for nearly 40 years now, and when it was recently announced that the next edition would feature a range up updates, rumors swirled around what they would be. We’re excited to share that the details have been revealed about the all-new 2019 Volkswagen Jetta, and that when it comes to our Tampa VW dealer later this spring, you’re going to want to be among the first to experience it. Let’s take a look at what you can expect from the all-new 2019 VW Jetta. 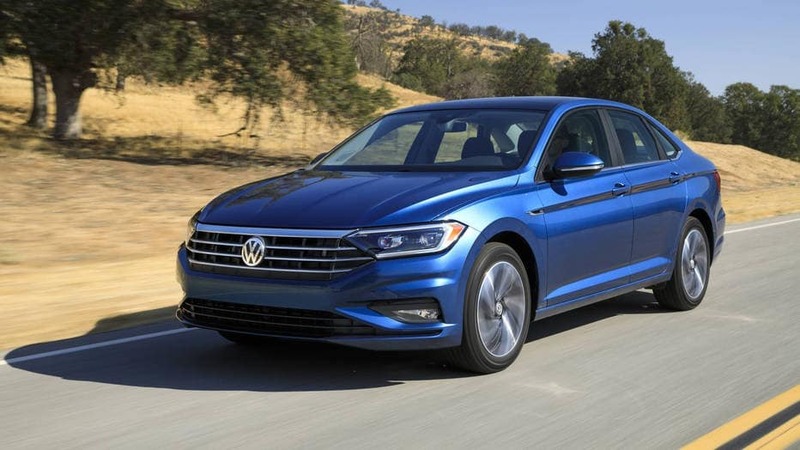 This model has always been hailed for its comfortable ride, but the new 2019 Volkswagen Jetta is taking your experience to a whole new level. It starts with its spaciousness. Thanks to its newly expanded interior, the 2019 Jetta offers the most passenger space in its class. On top of that, the cabin will feel more comfortable than ever thanks to its customizable 10-color interior ambient lighting system. What’s more, the 2019 Volkswagen Jetta boasts the state-of-the-art connectivity of Volkswagen Car-Net App-Connection, a smartphone connect system that puts even more control in your hands. Speaking of state-of-the-art, your drive will have the perfect soundtrack thanks to the inclusion of the latest BeatsAudio sound system. And all of this is just the beginning, as the new Jetta offers a range of exciting options, such as LED head and taillights, a panoramic sunroof, ventilated seating surfaces, and the Volkswagen Digital Cockpit. Finally, the new 2019 VW Jetta is covered by the best warranty on the market – the Volkswagen People’s First Warranty. Not only does it provide coverage for an unrivaled 6 years/72,000 miles, but it can be transferred to a new owner at no cost to you, which further increases the value. No specific date has been given for the release of the new 2019 Volkswagen Jetta, but we do know that it will be hitting the streets sometime later this spring. If you want to be among the first to experience the new and improved comfort and tech of the new Jetta, check back on our website often, or visit our Tampa VW dealer to learn more.